What's a Giving Site Homepage? In short: a simple link connected to a donation page so your donors don't get lost! There's nothing worse clicking a donate button, and getting only an error! Prevent your donors from getting lost by setting a campaign as your Giving Site Homepage. You can assign any of your active campaigns to this URL and can change the assigned campaign easily. 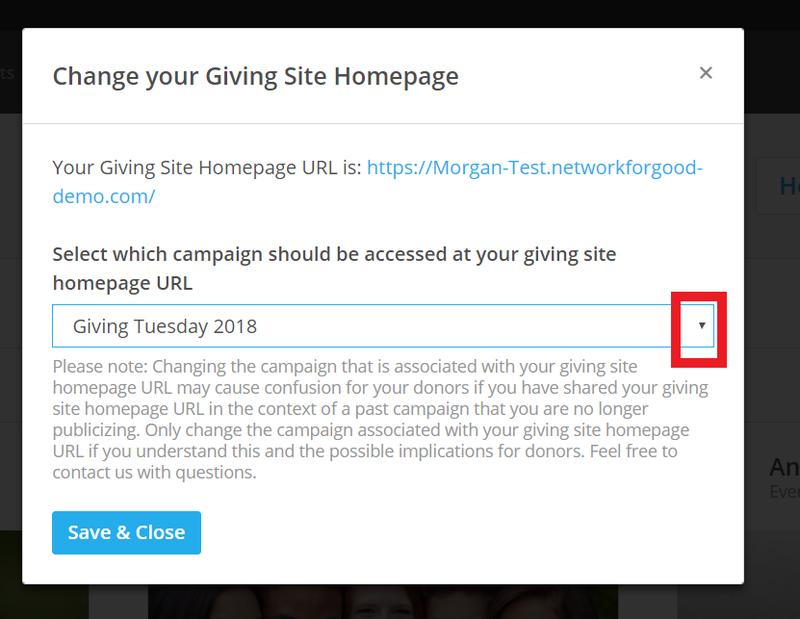 You can share this URL across the web, so that way even if you complete your current campaign and switch it up to something new, that URL will still lead your donors to the right place. Select the campaign page you would like to assign as your Homepage from the drop-down list. 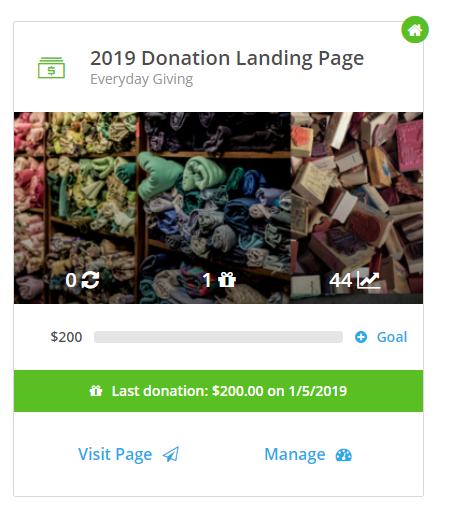 TIP: We recommend setting your Homepage to be an Everyday Giving Page that you are using as your general year-round donation page. The campaign you selected will display a green star on the My Campaigns page, indicating that it is your current Homepage. 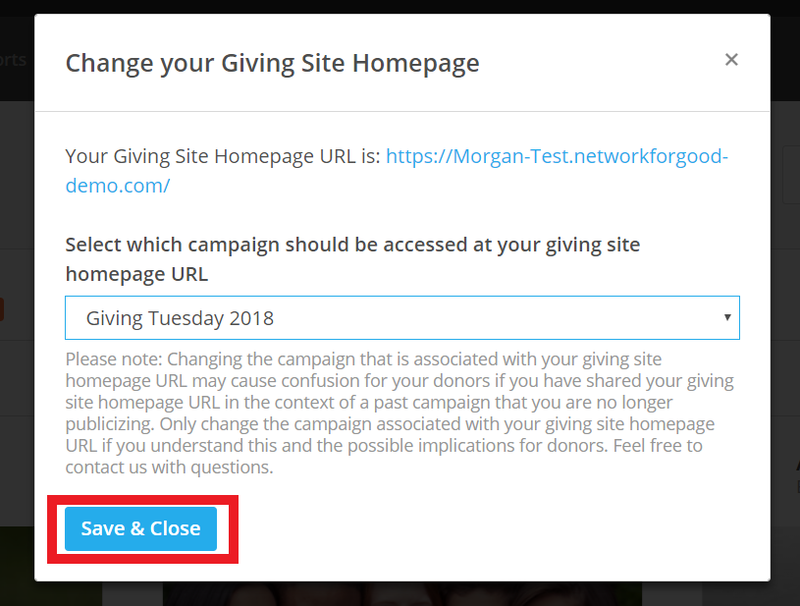 Now you can share the Giving Site Homepage, your simple URL that will look like this https://your-organizations-name.networkforgood.com, to direct your donors to your donation page.